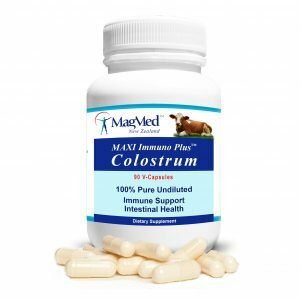 MIP Colostrum is 100% pure and undiluted, sourced from certified healthy, pasture-fed New Zealand cows that are free from pesticides, antibiotics and synthetic hormones. It is an incredible source of Proteins, Immunoglobulins, GF’s, Nutrients and Minerals and helps strengthen the immune system, fight viruses, bacteria and parasites, help with better digestion, bowel function, tissue building and faster recovery in fitness and sport. MIP Colostrum is enhanced by an unique energising process to ensure biological activity. For further information look through the FAQs and for suggested powder use for Pets and other Animals, please read question 11 in FAQs. Ingredients: 90 VegeCaps per bottle filled with pure and undiluted MIP Colostrum Powder. NO ADDED wheat, gluten, corn, yeast, artificial flavours, colours or preservatives. It is free of rBST and free of GMO (genetically modified organisms). Encapsulating aid: vegetable source Magnesium Stearate. Directions: take 1 or 2 capsules every day, 20 minutes before having your meal. Suitable for both, adults and children age 5+. After Sport: take an additional 2 VegeCaps right after exercise or training to enhance recovery. Caution: Consult your physician when pregnant. Note: It is important for new customers to bear in mind that everybody’s metabolism and absorption rate varies. 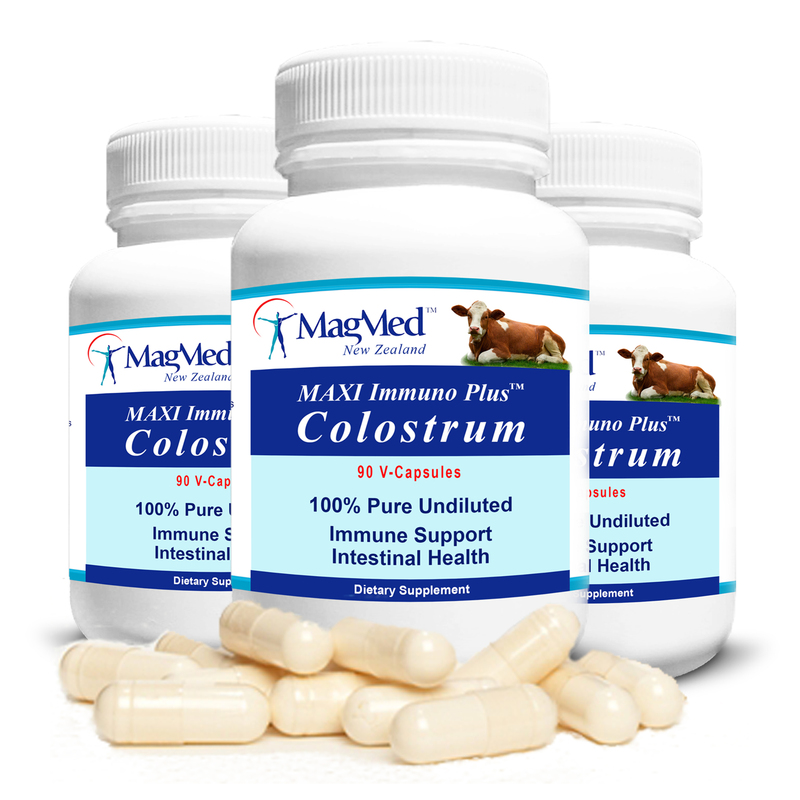 Taking MIP Colostrum consistently over a sustained period will yield the best results. 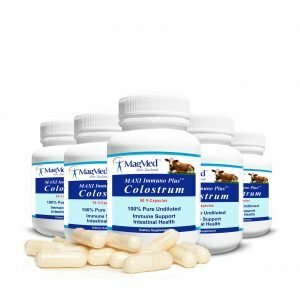 MIP Colostrum is used in exercising and other fitness and sport practices. Anyone who is looking to naturally build up daily body stamina und enhance energy levels will benefit.